Four personalization packs are set to go up for vote, tomorrow, May 23rd on Xbox 360. The top two camos will be released as a pack on May 29th. Full details on that can be found here. 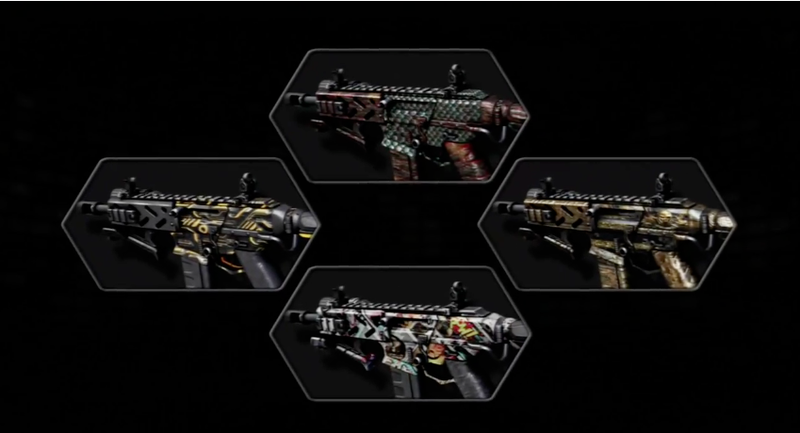 Call of Duty: Black Ops 2 is letting you decide the next Personalization Packs! From May 23 to 28, Xbox 360 players will be able to vote for one of four Personalization Packs on the in-game Message of the Day screen. The two Personalization Packs that receive the most votes will then be made available through the in-game store on May 29.